Features numerous game modes, astounding graphics, and countless weapons. Boasts millions of players with eSport tournaments being held regularly. Grab your assault rifle, grab your gear, and get ready to shoot your way to victory! 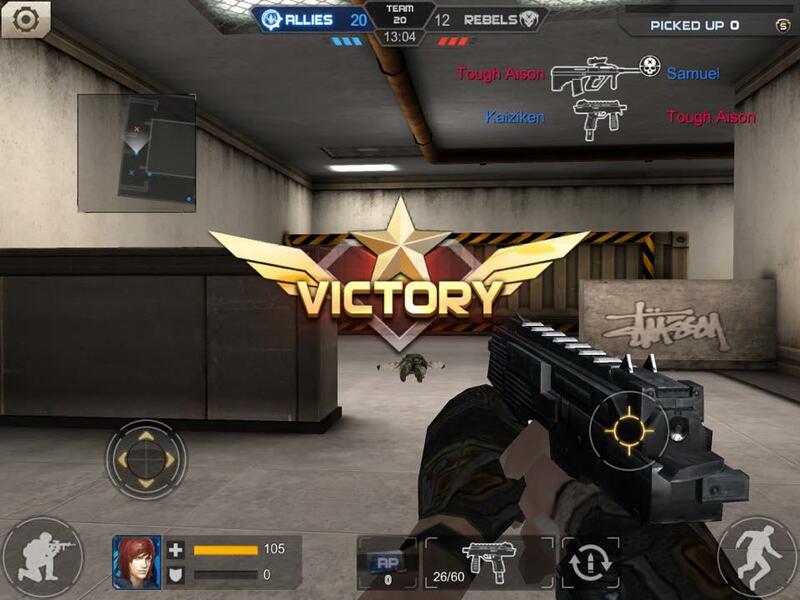 If you’re looking for a good first-person shooter on mobile platforms, then Crisis Action is arguably your best bet. 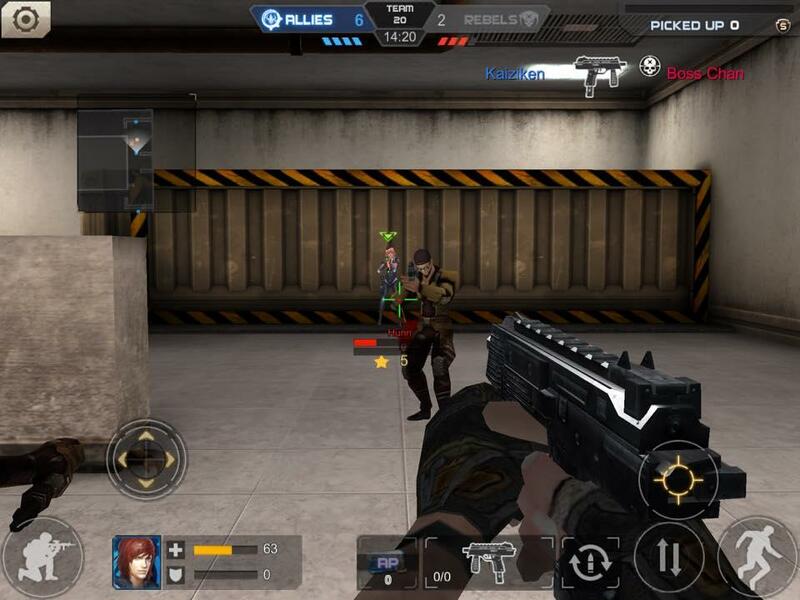 This game revolutionizes shooting games on mobile devices, and gives an experience similar to playing more popular games on the PC such as Counter Strike and Cross Fire. With numerous of game modes, weapons, and multiplayer support, this game is a must-try for everyone. Dubbing itself as an eSports FPS is truly justified - it plays and feels like a real FPS. Diving into Crisis Action will be a seamless experience for anyone who has played first-person shooting games before. To move your character, you simply have to move the left side of the screen, while aiming your weapon requires you to slide your finger on the right. To fire your weapon, you simply have to tap and hold the right side of the screen. Although anyone will have trouble aiming at first, you will get used to it as time goes on. The tutorial stage does a good job in orienting you about the game’s controls, especially in changing weapons, reloading, and basic movement. In a nutshell, it efficiently prepares you for multiplayer battles, which will arguably be harder. Thing is, the AI could do some work: personally, I barely died in the tutorials while killing off multiple opponents. Apart from the weapons, you can also customize how your character looks. You can choose a wide variety of outfits, from badass military gear, to absurd ones like Japanese school girl uniforms and headphones with bunny ears. Moreover, you can strengthen your character’s durability by making him or her wear body armor. Since the game is centered around shooting your opponents, there is no shortage of guns. 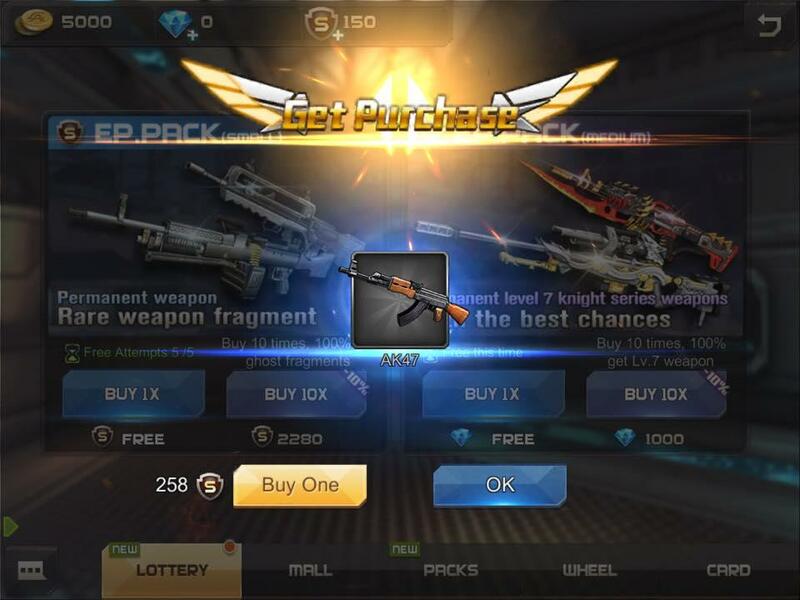 Although there are real-life guns available, such as the Glock 17 and AK47, there are weapons called “Fury Dragon” and even “Dark Night”. Old favorites such as the Thompson machine gun and the Python revolver are available for purchase. Sniper rifles (for those who like to camp) are in the game as well. Each weapon has its own respective attributes, including accuracy, recoil, and damage, so be sure to choose the one that fits your play style! There are several game modes in Crisis Action, such as Bomb Mode, Player vs Environment, and Team Mode, giving you countless hours of fun and gameplay. There are two factions, the Allies and Rebels, which define your roles depending on the game mode. If you’re part of the Rebels, then you’re in charge of planting bombs at certain objectives. You don’t only need dexterity, hand-eye coordination, and quick reflexes to win rounds: you also have to think and devise strategies, particularly in the Bomb and PVE modes. So far, only five-a-side games can be hosted and played, which is ok. However, it would be great for the game if there were more players per side. Regardless, the game runs smoothly, and you can play it without any framerate drops or even lag, as long as you have a compatible device and a good Internet connection. This in turn gives you a positive and uninterrupted experience. You would not have to worry about missing a headshot or dying during close encounters! Do we recommend Crisis Action? Definitely. We dare say it’s one of the best FPS games out there, and it’s obvious as to why. Don’t miss out on Crisis Action and download it right away!